What is the effect of Hyalutidin HC Aktiv joint preparation? 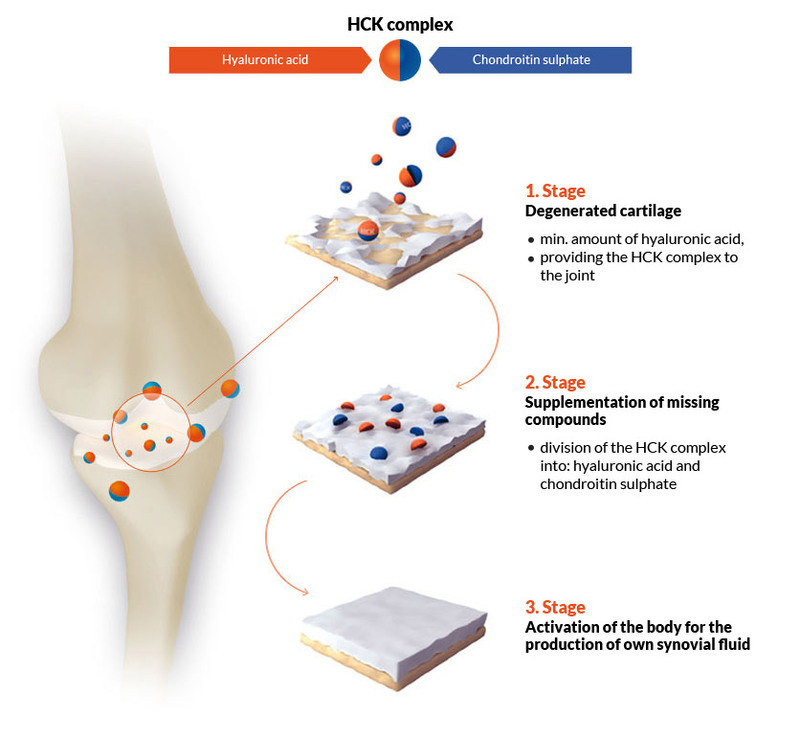 The HCK complex contained in Hyalutidin HC Aktiv is a unique combination of hyaluronic acid and chondroitin sulfate, which at the same time introduces these ingredients to the body. After ingestion, the HCK complex targets the digestive system from where it is discharged into the circulatory system. It is then transferred to every joint. After replenishing hyaluronic acid, its appropriate level activates CD 44 chondrocytes for own production of synovial fluid. Hyaluronic acid has hygroscopic properties - it binds water, thus moisturizing the surface of joint cartilage, protecting it from drying. Chondroitin sulphate is an essential component of the mass of cartilage. With a synergic interaction, these two basic components of synovial fluid are more effective than when used separately. A meta-analysis published in 2010 states unequivocally that glucosamine, as well as chondroitin administered alone or their combinations do not reduce joint pain and do not affect joint space narrowing. Synovial fluid supplies the cartilage with essential nutrients and facilitates joint movement, reducing friction. 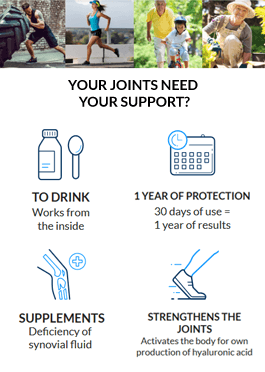 A 30-day administration cycle of the preparation provides adequate supplementation and natural building block components for the joints. The condition of the joints depends, among other things, on the degree of joint cartilage wear, the intensity of movements within the joints, age, and in some people on the variability of weather conditions.